This fully furnished condo is ready to be put on a short term rental program or just keep it for yourself to have when you come down to enjoy are beautiful beaches. Sleeps four comfortably. Crown molding throughout. Tile in every room but the bedroom. Just a few steps to the beach. The large back patio over looks the pool. Low HOA fees. Great investment don't hesitate on this one. 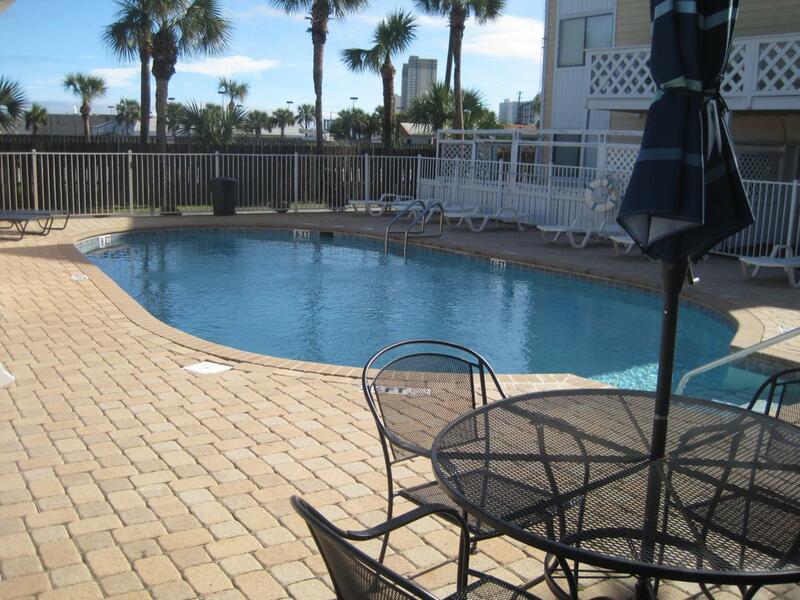 This condo has a great location, near Pier Park, Thomas Donuts, Lots of Restaurants & Shopping.